There was a time when Apple launches didn’t light up headlines around the web. When the original iPod was released back in November of 2001, for example, the only people lining up were at Apple Stores in Littleton, Colorado, and Newport Beach, California—and most of them weren’t looking to fork over $399 for an mp3 player. They just wanted one of the free grand-opening T-shirts. 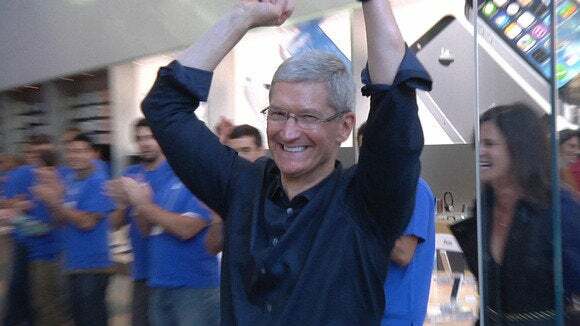 So when Tim Cook announced Apple Watch would be available on April 24, we naturally assumed it would be more of the same, with the first tents popping up sometime Monday afternoon and at least one Apple Watch Edition purchase by a fledgling startup looking for some publicity. But that’s not the case. 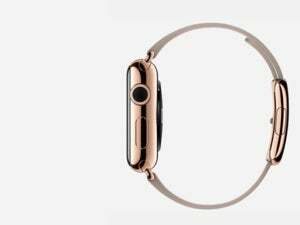 And it may represent a major shift in both the way Apple releases and sells its products. Today’s Apple Stores are remarkably different than they were in 2001. The first retail space in Tyson’s Corner, Virginia, had a familiar open floor plan, but distinct shopping sections for Home, Pro, and Solutions (complete with ceiling signs), a software “aisle” in the center, and Flower Power iMac cash registers. Tables were curved, shelves were black, and the Genius Bar had a phone that direct-dialed to Cupertino. But the overall mission was the same: to spotlight Apple’s products. Before the Apple Store, Macs were somewhat difficult to come by in the retail world, with stores like CompUSA and MicroCenter often displaying older models instead of the new ones everyone wanted to see. And there were no celebratory launches—I can remember heading over to my local CompUSA on March 24, 2001, to pick up my copy of Mac OS X 10.0 Cheetah and getting a series of blank stares until a manager finally went to the stockroom to find one. The Apple Store is perfect for big splashy launches. Just not this time. The Apple Store changed all that, offering a place where the latest and greatest Apple products were always on display and available for purchase. Launch days were like little parties, and you can argue that the early iPhone models wouldn’t have been nearly as popular without the lines of excited buyers in front of the Apple Stores. The people waiting outside advertised, built hype and turned a niche product into something everyone had to have. Since the launch of the iPhone, however, Apple has grown from a company with a small, incredibly loyal fan base to one that sells tens of thousands of iPhones every hour. Apple products have gone from relatively rare to ubiquitous, and for those of us who don’t live near Cupertino or Palo Alto, waiting on line at Apple Stores keeps us connected to Apple’s begotten culture. It’s not necessary, but it’s fun. As a dyed-in-the-wool Apple fan, I’ve done my share of waiting. Whether I was buying or trying, I’ve done a fair amount of line standing (and sitting), eagerly anticipating the moment when I would be motioned to enter through the gleaming glass doors. I’ve been there for OS X releases, iPhone and iPad launches, and even a Black Friday sale or two. I’ve struck up more ephemeral friendships than I can remember, and even for products I’ve preordered, I still enjoy strolling past my local Apple Store on launch days to take in the spectacle. Sure, there are some unsavory line-dwellers just looking to cash in, but the vast majority of the people still seem to be just like me: anxious to get their hands on Apple’s latest toy. Apple Watch is too high-end a product to queue up for—and it would be extremely frustrating to wait for hours only to not be able to get the exact size, finish, and band you really want. It’s a phenomenon usually reserved for limited-edition Air Jordans or Black Friday doorbusters, not a product that will be on shelves for the next two years. When Rolex unveils a new Submariner or BMW refreshes its 3 series, people don’t line up to see it, nor do they delay their purchases based on rumors of a new model. And Apple might be looking to adopt a similar image. A few weeks back, Apple’s senior vice president of online and retail stores, Angela Ahrendts, issued a memo to staffers declaring in no uncertain terms that “the days of waiting in line … are over for our customers.” Would-be Watch buyers were directed to preorder online, where we would presumably pick our favorite model for April 24 delivery, but many models were backordered from the outset. In fact, the Space Black Stainless Steel watch I ordered just minutes after it was available isn’t slated to arrive until June. Now, this obviously isn’t the first time an Apple product has a months-long backlog (and hopefully they’ll ship sooner than promised), but Apple Watch is different than the usual iPhone waiting list. Nothing about Apple Watch’s availability changes on its actual launch day. You’ll still have to make an appointment to try one on, you still won’t be able to buy one on the store, and you’ll still have to wait weeks if you want to wear one. For all intents and purposes, it “launched” two weeks ago. Launch day used to mean, "the day you could buy the product at the Apple Store." With a few dozen combinations to choose from (and special Edition models already popping up on the arms of celebrities), stores will likely have a short supply of models for impulse buyers even after the initial orders are all filled. Apple will surely study sales to see which models are most popular, but I doubt you’ll ever be able to walk into an Apple Store and walk out with a $17,000 Apple Watch Edition on your wrist (even if you can afford to do so). And I’m not so sure we’ll be seeing an Apple Watch 2 this time next year, either. Luxury items don’t follow timetables for release, and Apple is clearly marketing Apple Watch as a fashion accessory and not necessarily something packed with cutting-edge technology. From the glass display cases to the try-on appointments, Apple is treating Apple Watch unlike any other product it has ever released. So while the Apple Watch launch may seem somewhat uncharacteristic, it could signal a conscious move away from the classic product release. Not only does Apple Watch represent a new stream of revenue for the company, it also takes some pressure off its other products, namely iPhone. Eventually, iPhone could follow a MacBook-type upgrade path, with sporadic chip upgrades and case redesigns every few years. The 24-month contracts we sign have trained us to expect annual upgrades of everything in Apple’s catalogue, and every other tech company has followed suit. It’s an unsustainable pace, one that few other industries in the world follow, least of all luxury brands. But with stock limited to boutique stores like Dover Street Market, Maxfield, Colette and The Corner, Apple is clearly steering traffic away from its own stores. In her original memo, Ahrendts suggested the Apple Watch launch represented a “significant change in mindset” for Apple, and it’s easy to imagine a future where new iPhones or iPads launch with a similarly muted fanfare. 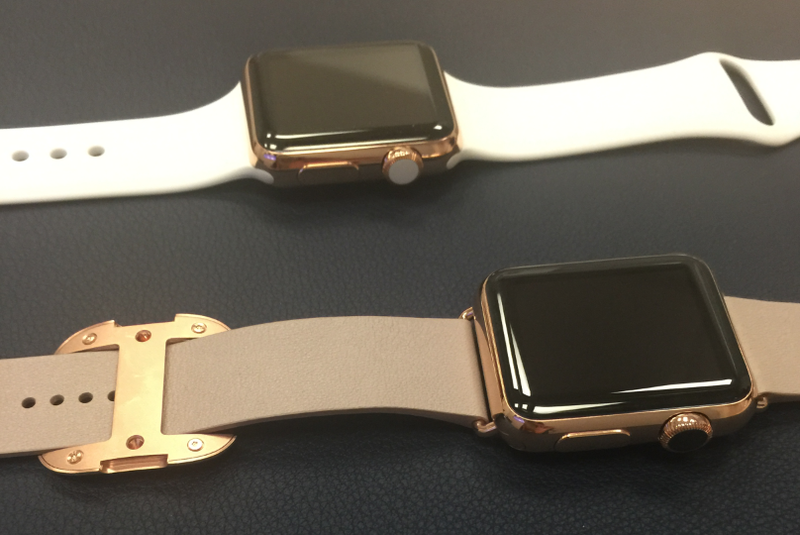 We found the private try-on appointments a wonderfully civilized, no-pressure way to shop for an Apple Watch. But if anyone can successfully steer such a change without igniting a cultural backlash, it’s Ahrendts. As the longtime CEO of Burberry, she understands full well how to treat a beloved brand with respect and admiration while still adapting it for a new era. As Apple continues to make its transition to a full-on purveyor of luxury goods, its retail locations will likely become more akin to jewelry stores than technology ones; before long I imagine there will only be one of each color of iPhone and iPad on display, not a whole table of them. Large swaths of display space will be devoted to showcasing the various models of watches, as Apple Watch gradually becomes an increasingly important product in its catalogue. The Apple Watch launch is about more than eliminating lines. When Ahrendts took the reins at Burberry, one her first decisions was to shutter some 35 product categories containing the recognizable check pattern to recast the company as the luxury brand and dissuade knock-offs—not unlike how Steve Jobs shut down the Macintosh clone program on his return to Apple. Apple is betting big on Apple Watch as a transformative product, but while the iPhone inspired legions of knock-offs, Apple wants its watch to be one-of-a-kind, something that can’t easily be imitated. It’s why the company hasn’t announced preorder numbers, and why celebrities have been spotted wearing them before preorders have shipped. Anyone could be first in line for a new iPhone. 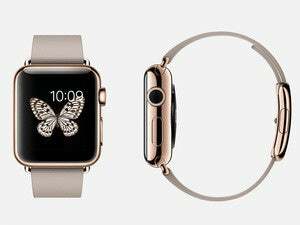 For the Apple Watch, a handful of celebrities got it first, before the public got their orders filled. Ahrendts doesn’t just know how to strengthen a brand, she knows how to build exclusivity, and hordes of people queuing are unbecoming of a company catering to people who can afford to strap $17,000 on their wrists. Camping out and waiting in line for the latest products may be ingrained into the fabric of Apple’s fan culture, but a horde of unkempt people isn’t something Ahrendts wants to associate with Apple Watch. And I suspect it won’t be very long before Apple Stores are relegated to mere showrooms. When it’s time to buy the iPhone 10 or the Apple Watch 3, Apple will surely have perfected its ordering system to the point where the model I choose will be be delivered in an instant with little more than tap of the screen on my wrist. And the only waiting I’ll be doing is for delivery truck.